Identify: Find the low-hanging fruit first. When searching for lost deals to pursue, evaluate the strength of the loss. Was it a landslide victory or a buzzer shot win for competition? Assign an outcome strength to each deal. We use “strong,” “moderate,” and “weak.” Look for the weak losses first. Those are the deals where you lost by a narrow margin. Watch how you can use TruVoice and your Win Loss program to help you turn some of your recent losses into low hanging fruit. Evaluate and adjust: Find the buyer’s perspective. How do you get the buyer’s perspective? By asking them directly. We place a heavy emphasis on understanding—we tell our customers how important it is to understand their buyers, how sales reps need to understand pain points, how account reps need to understand a customer’s end goals. It’s often implied that understanding is just something we do intuitively. And while sometimes understanding is intuitive, sometimes it’s not. Connect: Solve the buyer’s needs (not yours). We’ve all been “sold to” before. Sixty-seven phone calls asking if someone is ready to buy isn’t going to motivate anyone. Neither is that 68th call. People pay attention to things that provide them value from your interactions. Why not try something different? Now that you’ve identified the buyer’s specific pain points and adjusted based on their feedback, give them information relating to those pain points. Read how an auto collision/claims software company was finally able to land a multi-million dollar opportunity previously lost to the competition. 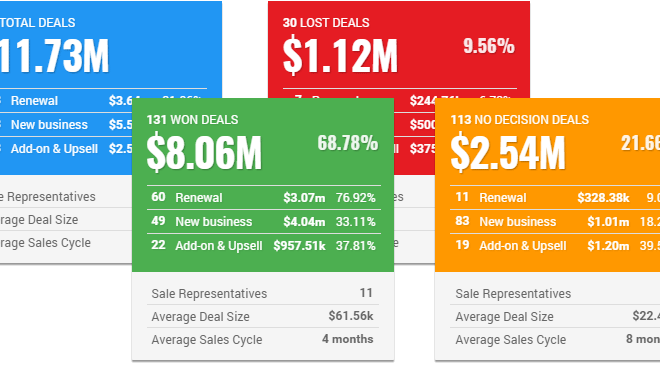 What would a multi-million dollar win back do for your company’s top line revenue? Let us know in the comments section below. If you’re looking to capture the attention of a high-level decision maker, you must provide measurable value. Where does that measurable value come from? Find out how to stand out with these 7 crucial steps.